Home / Events / Whitby / Whitby Ribfest 2013! It's Rib-tastic! 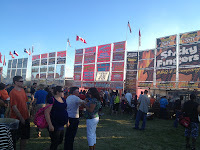 Whitby Ribfest 2013! It's Rib-tastic! 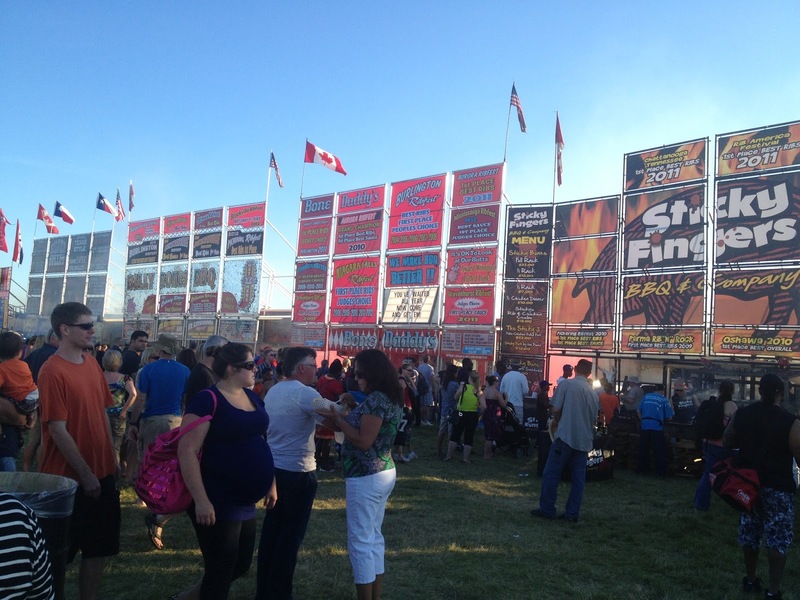 So, Ribfest has arrived in Whitby and the weather is perfect! 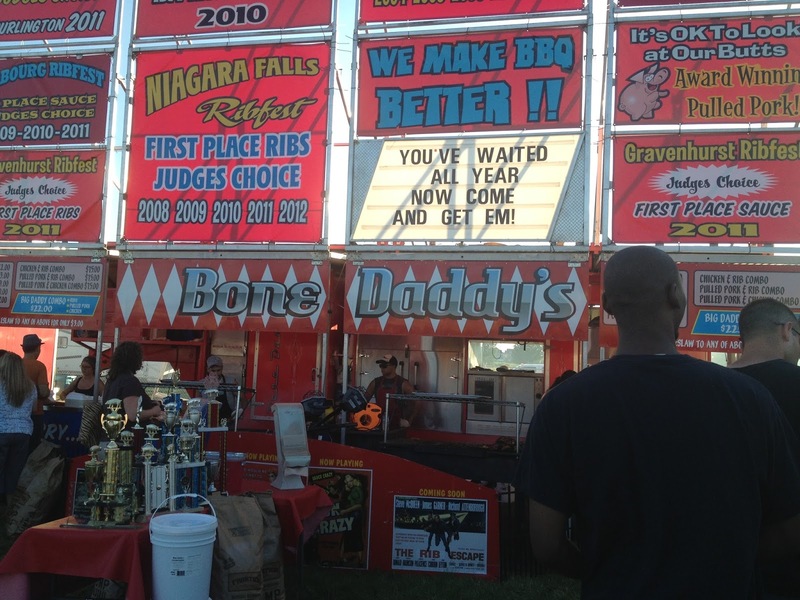 Iroquois Park is full of families and rib lovers. The entertainment is always good. I'm a fan of Two for the Show from seeing them at the Tartan, so that's always a treat. Kids were having a blast on the rides and I was distracted by the fair treats, but I had to remain focused. The lines are long, but it's worth the wait! 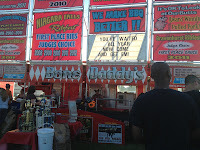 Ribfest always has an easy, fun loving atmosphere and this one was no different. 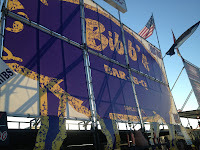 I stopped at 3 different rib joints to test the rib waters. Smallest of the 3, but not on flavour. The sauce was sweet and light. The ribs were meaty with little fat. I don't know what they marinated them in, but it tasted sweet like ham. They didn't last long. The ribs were freaking huge and meaty. 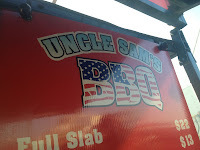 This dark sauce had bite; a delicious surprise.The ribs were meaty and juicy. Out of the 3 vendors I tried, these were my favourite. These giant ribs were smoked to perfection. The sauce, OMG, the sauce was tangy and sweet and I loved every one of them. Tasting these ribs made me wish I could try every vendors' sauce. I'm a saucy gal and this was a winner. Can't wait for the next Ribfest! !